I'm so excited to see my tulips and daffodils shooting up from the ground. I saw my first Blue Jay this morning on my drive into work. We are excited for the prospect of SPRING! 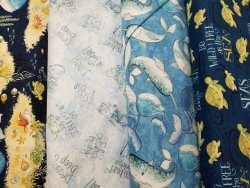 The store has been getting in a lot of new fabrics and new kits are coming your way- Read on for more about what's happening! We had a blast at our Spring Mini Retreat- If you missed it, watch for the next one coming May 31- June 2nd. Slots will fill quickly - you can preregister on our website or on our app. 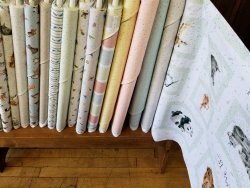 Look for "Mini Retreat- Summer 2019"
Classes: You can sign up for classes online at our website (www.mainstreetquiltingco.com) or on our app (do you have our app on your phone yet?). 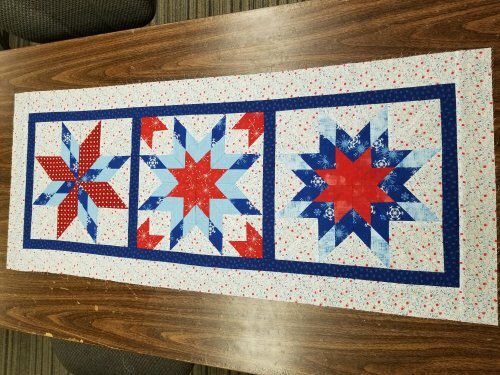 One Block Wonder- Sat, April 6 10:30-3:30pm This fun technique will be the jumping off point to make a custom design with your fabrics. We have room for one more person in this class. 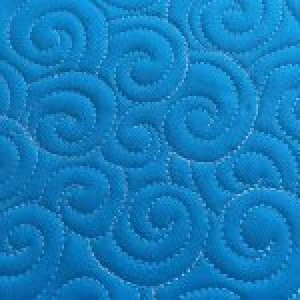 Free Motion Quilting on Your Machine- Monday, April 8 2pm -5pm Want to learn to free motion quilt? This class will get you all prepared to do so! There are two spots left in this class. 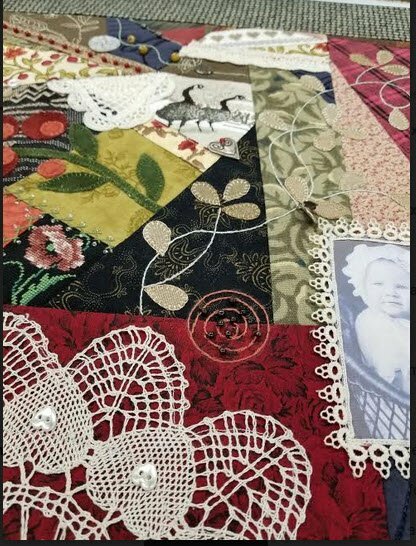 Crazy Quilt Workshop- Wednesday and Thursday, April 24-25th 10:30-4:30 each day. 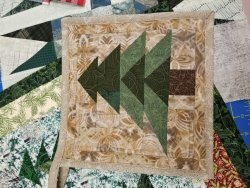 Susan Ward is coming to Bozeman with her bag of tricks and techniques to walk you through the crazy quilting process. 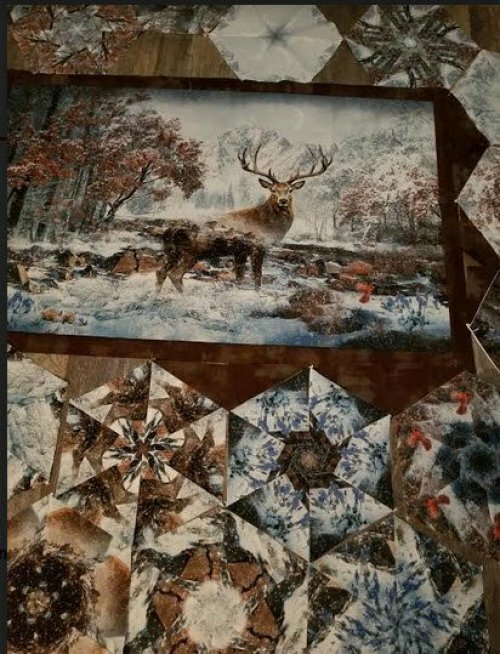 You will be making a wall hanging to start the process. 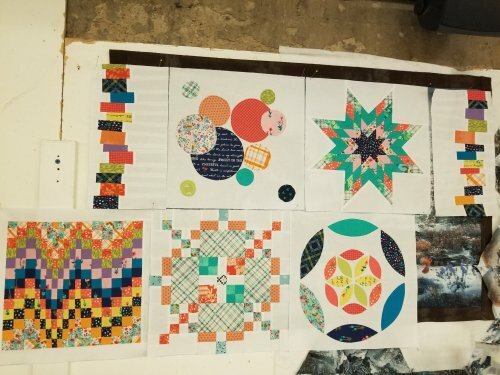 Bias Stars and Trees with Susan Ward- Friday, April 26 11am-5pm Come and learn from the designer and developer of the Bias Stars technique. I love her method for making perfect points on stars! You will make either of the squares shown in class. 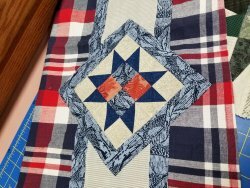 Advanced Quilting Class coming this fall- Sign up today to save your spot in this class. Gwen is having a great time making these blocks. 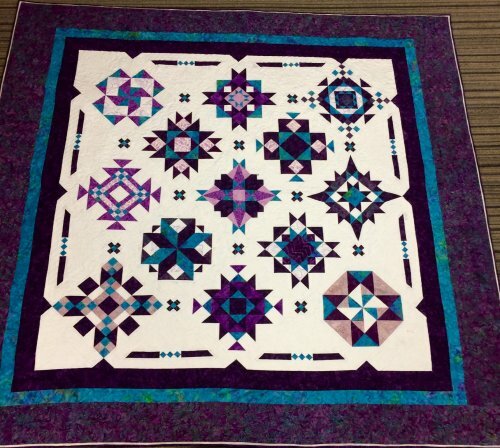 Her blocks are shown below- This is a 14 week course and there is a prerequisite of having taken the Intermediate Class with Gwen. 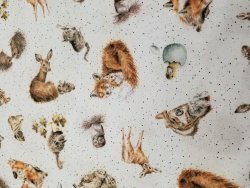 Class will start in August 2019. Pre-registration is required $50 prior to May 8th. 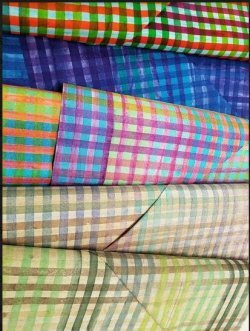 Events: Spring Shop Hop- April 11-13 We will be open from 9:30-6 on Thursday and Friday and from 9:30-5on Saturday. Stop in early for the best deals and don't forget to pick up your passport. Grab a friend or a carload and stop at all 5 shops, get your passports stamped for entry into a drawing. This is a great time to hit the road and have a fun day out. 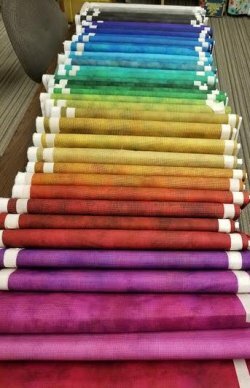 We have so many new fabrics in that we are busy getting the ready for sales floor. 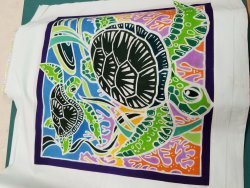 Here are a just a few that are new but you will want to see them in person.